Houston, TX and New York, NY - May 17, 2018 - AcctTwo, a leading consulting firm and provider of cloud-based financial management solutions and managed accounting services, announced that the firm has implemented a new accounting and financial management system for Slice, a software and consumer app company based in New York City. Slice is uniting and empowering local pizzerias with tech, data, and marketing to take charge of their industry, to bring their business into the digital world, and to provide handcrafted, quality pizza with the utmost convenience. Unlike other online ordering services that drive down a pizzeria’s quality and value by charging high order fees, Slice builds a true partnership for a fair cost. After a rigorous software evaluation, Slice chose Sage Intacctover other cloud and on-premises solutions as the best fit to meet the needs of the organization. Houston, TX and Phoenix, AZ - May 2, 2018 - AcctTwo, a leading consulting firm and provider of cloud-based financial management solutions and managed accounting services, announced that the firm has implemented a new accounting and financial management system for Dream City Church in Phoenix, AZ. Formerly Phoenix First Assembly, Dream City Church is nestled within the Shadow Mountain Preserve, shining God’s light and impacting a city. With a full-time staff of 70, including 12 pastors, Dream City Church is one of the most active and fruitful churches in the Phoenix metropolitan area. After a rigorous software evaluation, the church chose Sage Intacct over other on-premises and cloud solutions as the best fit to meet the needs of the organization. Houston, TX and Norman, OK - April 26, 2018 -AcctTwo, a leading consulting firm and provider of cloud-based financial management solutions and managed accounting services, announced that longtime customer, Nextep, has seen dramatic improvements in financial reporting and a reduction of manual financial management tasks since partnering with AcctTwo to move to Sage Intacct. Nextep is an industry-leading IRS-certified Professional Employer Organization (PEO) dedicated to helping small and medium-sized businesses nationwide with human resources, benefits, risk & compliance, and payroll services. Houston, TX and Joppa, MD - March 8, 2018 - AcctTwo, a leading consulting firm and provider of cloud-based financial management solutions and managed accounting services, announced that the firm has implemented Sage Intacct for Mountain Christian Church, a four-campus church in Maryland. Mountain Christian Church (MCC) comes from a strong heritage characterized by growth, outreach, and innovation. Founded by pioneering preachers who traveled by horseback from Kentucky, MCC is the legacy of those who were willing to reach and endure in order to see God’s kingdom grow. After a rigorous software evaluation, MCC chose Sage Intacct over other on-premises and cloud solutions as the best fit to meet the needs of the organization. Houston, TX and Rock Valley, IA - February 21, 2018 - AcctTwo, a leading consulting firm and provider of cloud-based financial management solutions and managed accounting services, announced that the firm has implemented Sage Intacct for Hope Haven International. Hope Haven began in 1964 when a small group of community members from northwest Iowa responded to the needs of 11 children with hearing impairments. At that time, no residential, educational, or work service opportunities were available nearby. 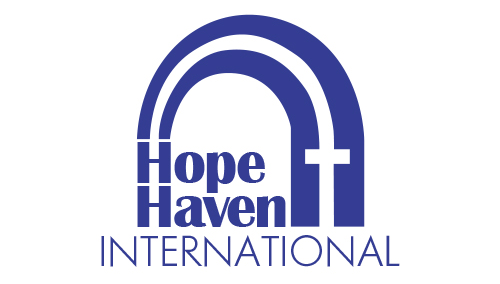 In 2014, Hope Haven celebrated 50 years of God's faithfulness. Today the organization has programs in over 30 communities around the Midwest. After a rigorous software evaluation, Hope Haven chose Sage Intacct over other on-premises and cloud solutions as the best fit to meet the needs of the organization. Intacct, the customer satisfaction leader in cloud ERP software, today announced that Energy Water Solutions (EWS), a total water management firm serving oil and gas producers, implemented Intacct’s robust ERP solution to power key workflows, and outsourced its finance operations to Intacct partner AcctTwo. Intacct provides real-time visibility into key performance indicators that drive profitability, and powers modern, efficient financial processes that seamlessly scale up or down with EWS’ business as needed. In a new case study published today, Intacct highlights the results EWS achieved by adopting Intacct’s cloud ERP solution.